This is amazing. I made this on the weekend, my kids loved the sauce that I made and they ate it like it was the greatest thing they had ever eaten. They kept adding more sauce, licking there fingers when they finished. 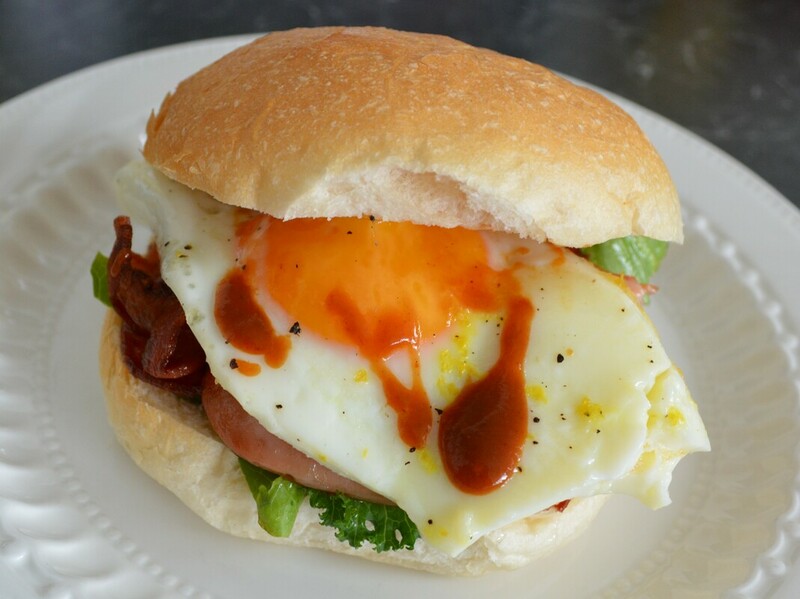 My husband usually makes Sunday morning breakfast, even he loved this version of the bacon and egg roll. The hint of lemon on the eggs, brilliant, a burst of flavour. The egg yolk must still be runny, so it oozes out all over the roll. Messy but divine. This is another Janelle Bloom recipe, her recipes are great, if you see her cookbooks in the shop, buy them, her recipes work, every time. Bacon and egg roll sauce: Place all the sauce ingredients in a small saucepan. Place over medium heat, cook stirring for 3-5 minutes until it comes to the boil. Remove from the heat, set aside to cool. Heat the rolls if you like by placing them in a preheated 180C oven for 5 minutes, don't forget about them. Most of the time I don't heat the bread, the kids like soft hamburger rolls. Depending on what size your bread is, cut each rash of bacon into half or thirds, so it fits into your roll. (Last time the rashers of bacon I bought were so big I only used 1 1/2 rashers per roll). Heat your non stick frying pan over medium-high heat, add the bacon, fry 2 minutes on each side, until golden and cooked to your liking. Reduce the heat to medium. Add oil to the same pan, now add the eggs. Cook for 1-2 minutes, cook the eggs to your liking, but for me the yolk must still be runny. Remove from the heat and grate over the eggs a little lemon rind. Cut each roll in half. Over the base, spread the bacon and egg roll sauce. 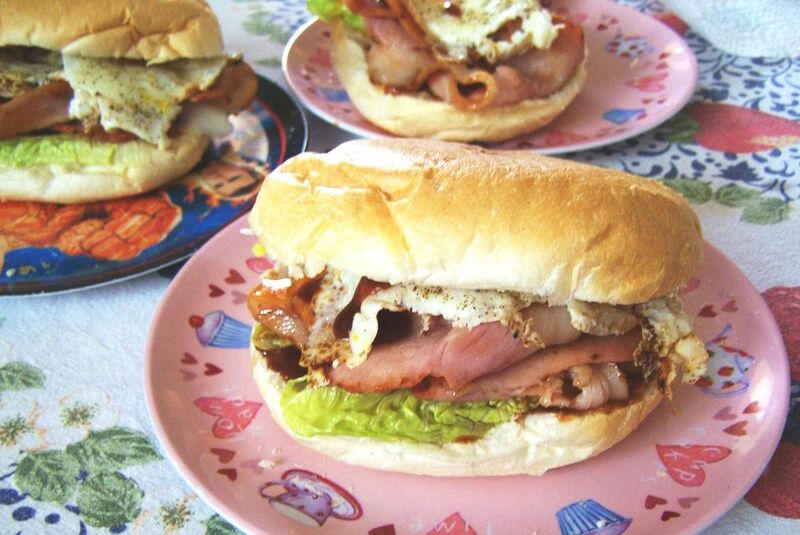 Top with lettuce leaves, bacon and egg. Season with salt and pepper. Place on the bread roll top. Serve immediately.